So we hit a craft beer bar in Alhambra, Ca, Friday night to official kick off the weekend. 38* Ale House Bar, has a great selection of craft beers. 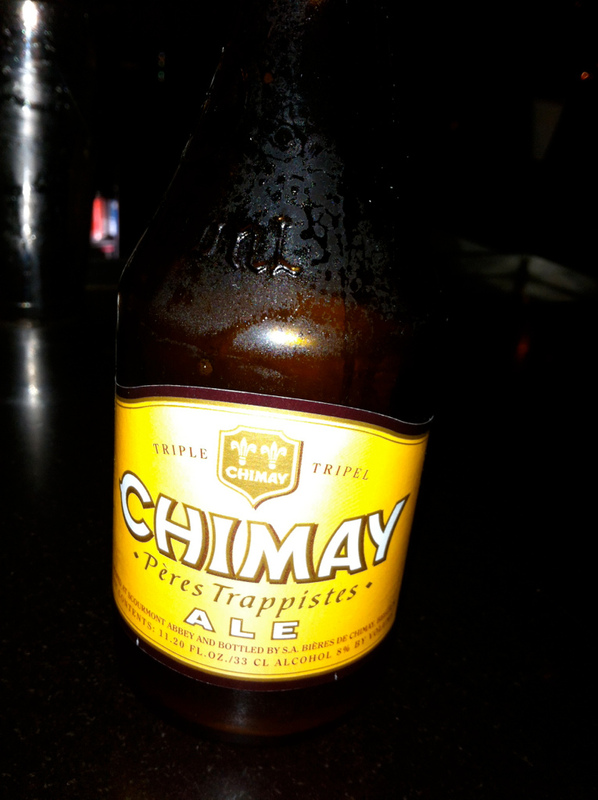 The highlight of the night was a beer called Chimay Triple, and served in a bottle. It’a a Belgian ale beer and the production and history has a great storied past. This beer is brewed by Trappist French catholic monks dating back to 1862. The beer is produced to support communal living. There are several styles of beer Chimay produces and has maintained a fine reputation amongst beer advocates. The beer was very tasty, not a heavy hoppy taste, and went down smooth and served cool but not cold. Word is, what makes the beer so unique are the local resources the monks use, especially the local water. ~ by Golden Foam Notes on July 8, 2012.